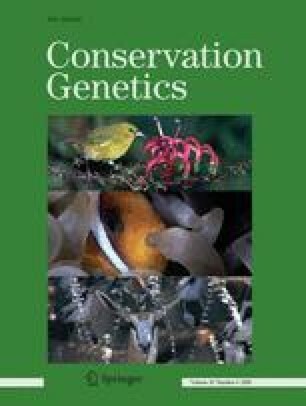 Five novel polymorphic microsatellite loci were isolated and characterized using an enriched genomic DNA library for Parnassius mnemosyne, a European butterfly of conservation concern, and a valuable model for the study of metapopulation dynamics. Allele numbers ranged from 4 to 12 and observed and expected heterozygosities from 0.17 to 0.74 and from 0.26 to 0.835, respectively. Two samples from geographically close populations were analyzed, demonstrating that the new markers can be successfully employed to investigate fine-scale population structure.